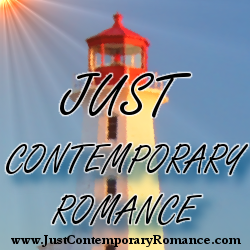 One of the wonderful things about writing contemporary romance is the variety. Stories can be set almost anywhere provided it’s modern day, and there’s no limit to the type of characters an author can write about. I love setting my novels in cities. I’m a city girl at heart (who loves a weekend in the country and the occasional read of a rural romance), but cities offer no end of inspiration for me. In my City Love series, I’d already written the bubbly, positive heroine in The Boyfriend Sessions. Then I’d moved onto the independent, career-driven, go-getting leading lady in The Pitch. In my latest release, I’ve tackled the tough girl. 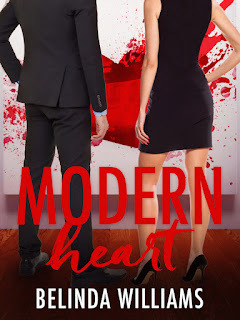 Scarlett Wong is the heroine of the third book in the series, Modern Heart. I must confess I was equal parts excited and daunted about writing Scarlett. You know the type? She doesn’t do relationships (only one night stands) and she doesn’t let people get too close. This absolutely fascinated me. How would a woman like this find love? It turned out to be quite a journey. Obviously it required a hero who was up to the challenge: enter John Hart, the good guy. I loved playing these two off against each other. Scarlett’s grumpiness and sarcasm, against his positivity and ability to laugh at the world. It was definitely a case of opposites attract. One thing I discovered about writing tough girls is that you need to break them down first before they can be open to love. This is because they’ve built walls to protect themselves, but it doesn’t mean the vulnerability isn’t there. It’s just harder to reach. And when someone does get past the hard outer shell, there’s a whole new layer to explore. I knew in writing Scarlett that she would elicit strong responses in readers. For instance, even my beta readers were divided. One beta loved Scarlett so much she claimed it was the best book in the series to date, but another beta didn’t share that view. Either way, I’m glad to have given a tough girl a voice. It’s important to explore different—and sometimes difficult—characters. It’s what makes the contemporary romance genre so relevant. And who says tough girls don’t deserve love too? I hope you’ll give a tough girl the chance to win your heart in my new release, Modern Heart. Release date: 26 November, 2015.